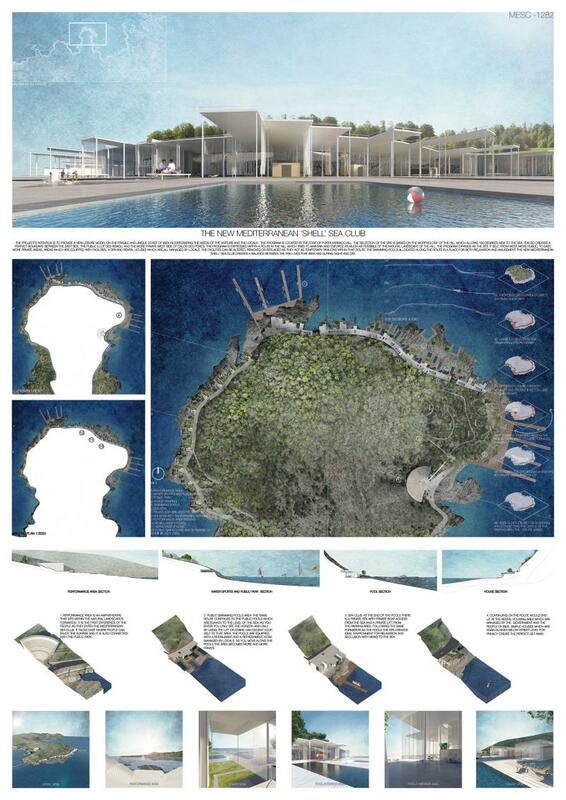 The project’s intention is to provide a new leisure model on the fragile and unique coast of Ibiza incorporating the needs of the visitors and the locals. The program is located at the edge of Punta Xarraco hill. The selection of the site is based on the morphology of the hill which allows 180 degrees view to the sea. It also creates a perfect boundary between the east side, the public Illot des Remoli, and the more private west side of Calos des Porcs. The program is expressed within a route in the hill which tries to maintain and enforce as much as possible of the natural landscape of the hill. The program expands as the site it self, from west, more public, to east, more private areas. Areas which are equipped with facilities, a spa and rental houses which are all managed by locals. The facilities can be altered, removed or replaced as they act as temporary pavilions within that route. The swimming pools allocated along the route is a place for both relaxation and amusement. The new Mediterranean ‘Shell’ sea club creates a balance between the two lives that Ibiza has during night and day. Congratulations for this exciting project...Great!